Our customer 4Care can be deservedly proud of themselves – their online shop lensbest.de, implemented together with us, won the Shop Usability Award in the category wellness, beauty, and health. For the eighth time already, Shoplupe CEO Johannes Altmann awarded the prize during the K5 conference. The award honours flawless and user-friendly online shops. 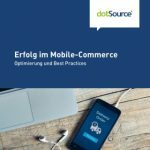 The online shop, that only went live at the end of 2014 after we had realised its migration to Intershop 7.3 and the implementation of the responsive design, apparently met all criteria and convinced the 27-member expert jury. It’s especially nice to see that one of those popular awards goes to an Intershop customer. 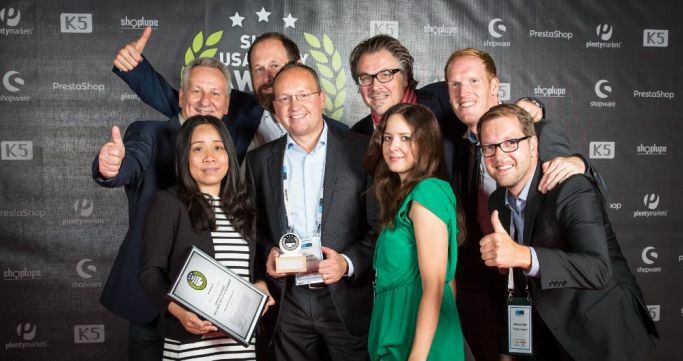 A look at the winners in a total of twelve categories reveals that Shopware leads the competition. We show, however: not the e-commerce system, but its competent implementation is key. Our special thanks go to the project team – we’re very proud of your joint work with 4Care!! !